EPA Money and Support Help Make Beach Visits Safe While it is still too cold to go to the beach in most parts of the country, EPA works year-round on ensuring beach visits are well-planned and safe for everyone. 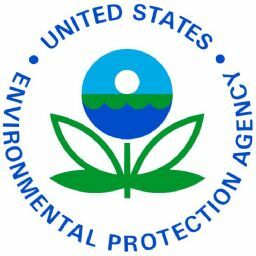 By providing states an additional $9.75 million in beach grants in 2008, EPA is helping states continue to monitor water quality at beaches and notify the public of beach warnings and closings when bacteria levels rise too high. When its finally time to hit the shores this summer, beachgoers will be both better protected and better informed,? said EPA Administrator Stephen L. Johnson. ?With this additional funding, we will continue to improve water quality and ensure that waves are the only thing to catch at America?s beaches.? The funds are available to 35 eligible states, territories and tribes as grant money. This is the eighth year grants are being made available since Congress passed the Beaches Environmental Assessment and Coastal Health (BEACH) Act in October 2000, bringing the total to more than $71 million awarded to states. EPA estimates Americans make 910 million trips to coastal areas each year, spending about $44 billion. A decade ago, state and local monitoring and notification programs differed across the country. These grants are designed to consistently protect and inform the public before swimming at beach waters. In addition to supporting stronger beach programs nationwide, EPA is also focusing on developing new technologies to more quickly identify possible bacteria contamination at beaches. The science is evolving, and EPA?s research program involves epidemiological studies at a variety of beaches to assess new analytical approaches.